All Products > "1146 HPI Racing Firebolt 15T Motor (540 Type)"
WITH CAPACITOR AND CONNECTOR. Genuine HPI quality spare part for easy maintenance and repairs. Fits right into all HPI electric cars and trucks! The lower the number of turns, the more powerful the motor is - this motor is much more powerful and the Saturn 27T and 20T motors! 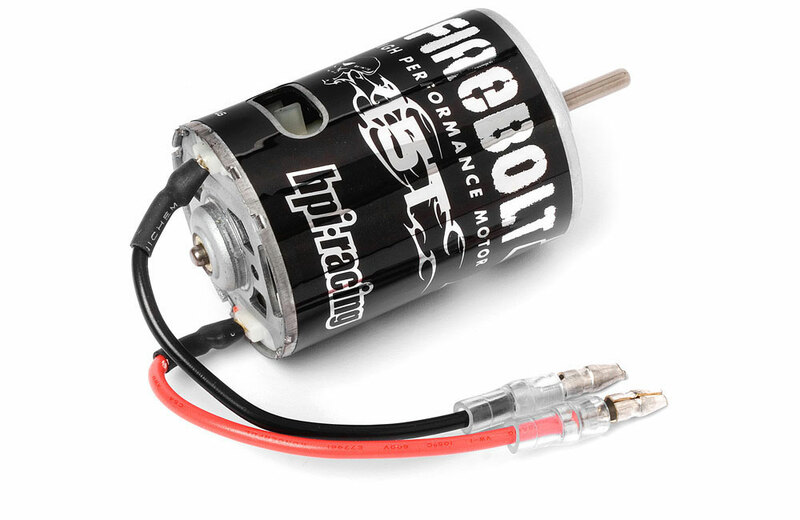 Note: Before purchasing this motor, you must make sure that your electronic speed controller (ESC) is capable of handling motors as powerful as 15-turn motors. ESCs that are not rated for powerful motors will be damaged and will need to be replaced. The #72341 SC-15 Electronic Speed Control is able to power 15-turn motors, however the #340 EN-1 is not.